ooh yum, that looks lovely! My father is British and have grown up with his love to cook curry, in fact tonight I think I am going to make a chicken Biryani 🙂 I like the look and simplicity of your recipe, especially good if running late after work! As you have a love for traditional English food, have you found a good scone recipe? your kurma looks great and mouthwatering. Superb photos. Thanks for the recipe, however, i dont understand one thing. You say that mash the potatoes to increase the thickness of the gravy and then later you say that add the peas when the potato is half cooked. How will the potato mash if it is not completely cooked? Hey I wanted you and your readers to know that there’s a cool recipe and wine pairing contest going on. You can show off how you made this curry/pea perfection and what wine goes with it! If you like, you can learn more about the Santa Margherita Great Taste Challenge and see if you want to enter! For, chilli, u mean red chilli powder or green chilli? The only reason I tried your recipe over all the others on the net was because you said it was given to you by your mother-in-law. mothers and mothers-in-law can always be relied on more than any recipe book. My trust was not misplaced. I followed your instructions verbatim (except that I added a pinch of fennel and fresh chopped coriander at the end) and the curry turned out really well. Many thanks. 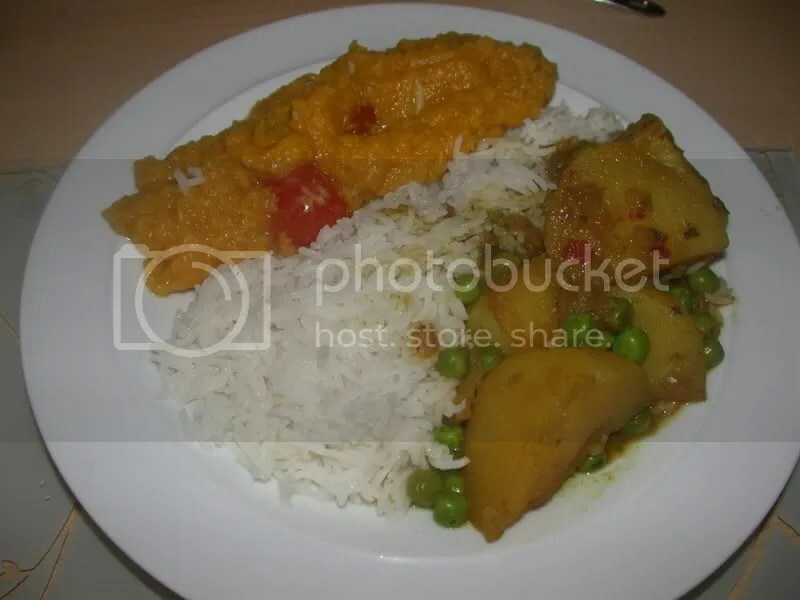 When I got married almost 50 years ago, I could only cook two Indian meals (taught to me by a dear Indian boyfriend) and this was one of them. Now I hardly cook anything else but curries as my family all love them. Here in Melbourne, Australia, I am still trying to find an authentic Indian restaurant as we have in the UK but at least I can make my own and this recipe is delicious. thank you very much for the beautifully simple recipe for alou mater! i love it and have used it quite often and i must say, it looks wonderful on my ceramics!!!!! 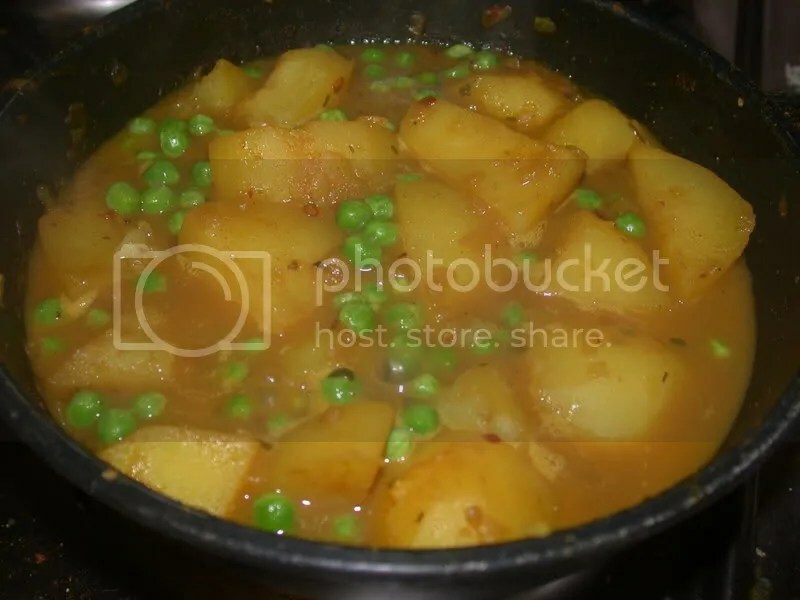 specific posting, called “Pea & Potato Curry (Aloo Mattar) � 101 Things Every Cook Should Cook”.